I have a fun and fairly easy project to share with you today. My inspiration comes from a photo I saw on Pinterest from Pollyanna Reinvents . I have a taller, but similar flower bucket that definitely needed a makeover. Awhile back I pinned this graphic on Pinterest, which led me to a post by the Graphics Fairy. Many transfer methods require a laser printer, which I don't have. Thankfully, one of the transfer methods required an inkjet printer and wax paper. I had both of these items, so I decided to give it a try. I cut a sheet of wax paper 1/2" smaller (both directions) than a piece of cardstock. Then I taped the wax paper even with the top of the cardstock and printed out the bee/wreath design I found over at the Graphics Fairy. After painting my flower pot and printing the image on the wax paper, the image was transferred to the metal bucket. First the wax paper was removed from the cardstock, then set on the bucket. Once it was in the right place, I used my fingernail to rub over the image. After drying for a few hours, a clear glaze/fixative was sprayed over the front of the bucket. My next door neighbor Tracy brought me some lovely hydrangeas from her yard and they look fantastic in my newly made over flower bucket. The wax paper method was super simple and didn't take much time. The Graphics Fairy said that she had seen the wax paper method on Painted and Natural Wood and Painted Metal. Has anyone else used this method of transfer and on anything other than wood and metal? spray paint used: Valspar Churchill Vanilla. Oh Pam that is adorable. I love the transfer you used! Wow - that looks amazing.I have never tried this before, but I will definitely give this a go.The flowers look great in this new vase!! Oh Pam! This is wonderful and looks so cute! It's that easy? I'm so impressed and want to do this too! Thank you for sharing with us how to do it. That looks great, Pam! I have one of those buckets waiting for a makeover. 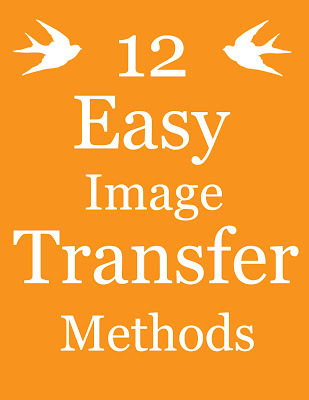 I just don't know what image I want to use or the transfer method. LOVE this! I've never tried the wax paper method but will give it a shot. So far, any transfer method I've used hasn't worked well for me. There's always part of the image that doesn't stick and I get frustrated. Still trying to find that golden method ... maybe this is it. I love the graphic you chose and your bucket is adorable. Pam, it is lovely. I used that Vanilla Valspar paint last week and really like that color. That turned out great. I've never tried anything like that. Glad to find your blog. I don't do many DIY projects but enjoy seeing all the talent out in blogland. I like your transfer project . It looks great. I want to try the Valspar paint on an urn in my garden. Oh my gosh, thanks for trying this out! I have been wanting to try these transfer projects, but with wax paper...so easy!! p.s. I love your outdoor area...so pretty. I have heard of this method but have not tried it myself! It looks fabulous!!!! Great job. I love the bee and wreath graphic. I saw it on the Graphics Fairy too and loved it! I have not heard of this method but I'm sure going to try it out!! Yours looks fabulous!! Thank You for sharing and I hope you have a wonderful week! I don't have a laser printer, either - so I'm definitely going to try out this technique! Do you have to transfer it immediately after printing it? Thank you so much for sharing it with us!! LOVE the after Pam!! Pretty vignette too! Now that is something even I could do! It sounds so easy and looks absolutely beautiful. Thanks so much for sharing it with us Pam! Pam, that is awesome! I don't have a laser printer either so it is neat to see there are things out there! Love the graphic and your flower pot looks fabulous! Thanks for sharing this. I have so many projects I would like to try to do with transfers and no laser printer. I will definitely be giving this a go! Love how your transfer turned out.It ooks fabulous,espescially with the hydrangeas. What a beautiful flower bucket..!! !...Fantastic transformation!...the hydrangeas look perfect in it!! You certainly worked your magic as always! That's amazing! I didn't know it could be done like that! Yours turned out great! Love the hydrangeas! Wow....now that's dog-on clever! Love it! I love, love your flower buckets! I have been trying to learn to do transfers, but no luck, I keep messing up. Thank you for the tutorial! I love this project! Thanks for sharing it with us!! Wow, love the transfer. Think I may need to try this method. Thanks so much for sharing. Wow! This is awesome! Iv'e got to try this! I have never seen this before. Love what you did with the vase. Great job! Such a great look, I love things like that too! Thanks for sharing that with us! : ).. Visiting from the Picket Fence link up party. Gosh I love this idea and have to try it out myself, I wonder if it would work on an unpainted terracotta pot? I will have to look for more inspiration. Thank you for sharing your idea as I never realised how easy it would be. Looks fantastic! I have an inkjet printer, too, so I will have to try this. Great idea. I also have some outdated vases to try this on. I did this and it cam out really light. Is there a way to make it darker like yous? Jill, you have to work fast and transfer the graphic right away before it dries. Also,make sure you rub it really well. Hello, I was just wondering what glaze you used to seal in the image? Hira, I used Krylon spray fixative. Freezer paper works well for transfers, especially fabric. Christina, Thanks! I didn't use a medium at all. When the wax paper came out of the printer it stayed wet and then transferred it by rubbing it with my fingernail. I had to work fast before it dried. This method really works too. The transfer is amazing. Very nice bucket there I love the design.